I could easily eat goat cheese for every meal of the day, but until this week, I had never tried it in ice cream. However, I couldn’t imagine a better accompaniment to Kimberly’s Broiled Figs with Za’atar and Pecans from her new book Vibrant Food, so I whipped up a batch sweetened with honey. 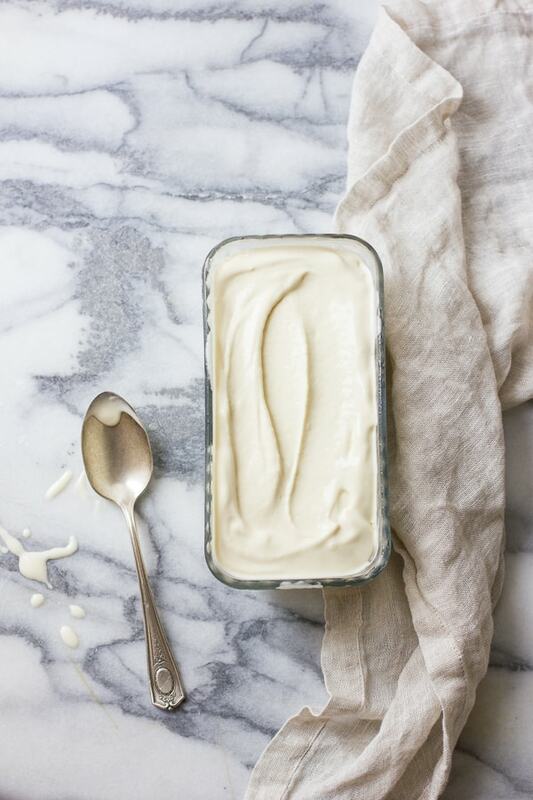 A custard base keeps the ice cream smooth and emulsified. The honey lends a soft set due to its high content of invert sugars, making the ice cream scoopable right from the freezer. Be warned: this ice cream definitely tastes like goat cheese. The goat cheese lovers in our house didn’t mind this fact (even the cat tried to get in on the action – he goes crazy whenever we pull the stuff out). I used Cypress Grove’s Ms. Natural, a mild and creamy cheese from a Northern California co-operative dairy. If your goat cheese has a more assertive flavor, you may wish to reduce the amount by half. 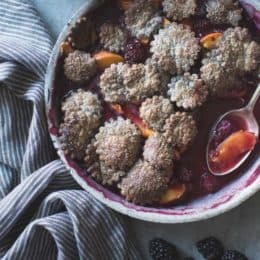 I’m envisioning this ice cream paired with other fruit desserts; perhaps a berry crisp, grilled plum halves, or roasted pears topped with walnuts. But it really is just right with those figs. Use a light-colored honey and fresh, mild goat cheese here; I like Cypress Grove’s Ms. Natural and Sierra Nevada’s fresh chèvre the best. 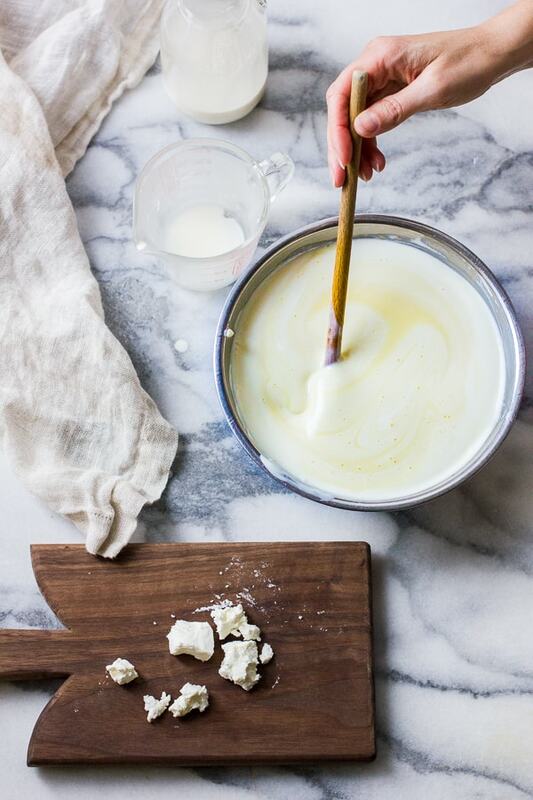 For a milder goat cheese experience, decrease the amount of cheese to 1.5 ounces and up the cream by 1/4 cup. For churning the ice cream, I have and highly recommend the ice cream maker attachment for Kitchen Aid stand mixers. 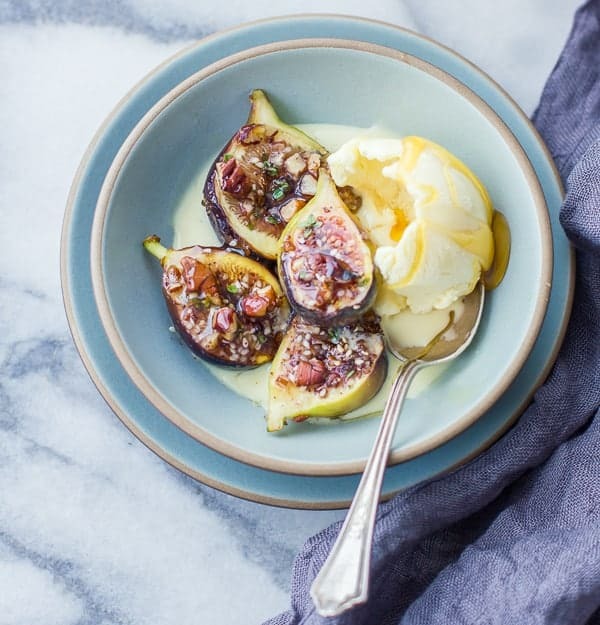 Serve the ice cream with any warm fruit dessert, or with Broiled Figs with Za’atar and Pecans. All ounce measurements here are by weight. 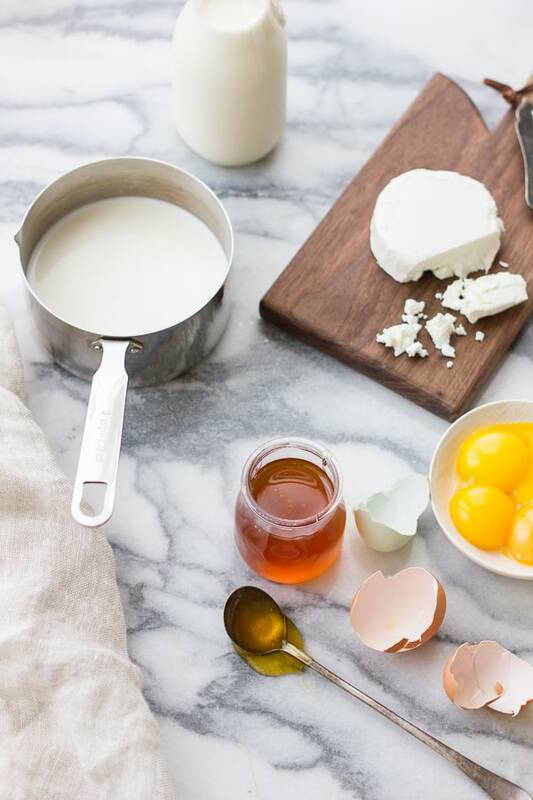 Place the egg yolks in another medium bowl set on a damp kitchen towel. In a medium, heavy-bottomed saucepan, heat the milk with the honey and salt until steamy and hot, stirring frequently. 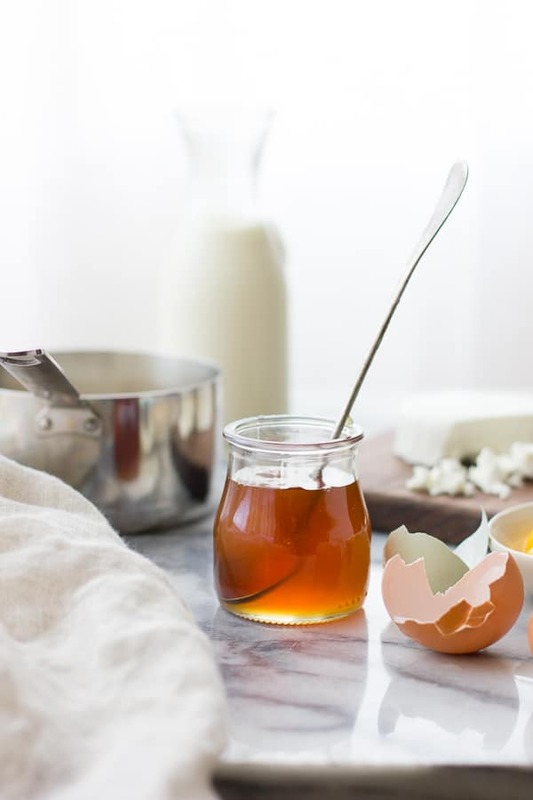 Don’t let the mixture simmer or boil or the acids in the honey could cause the milk to curdle. 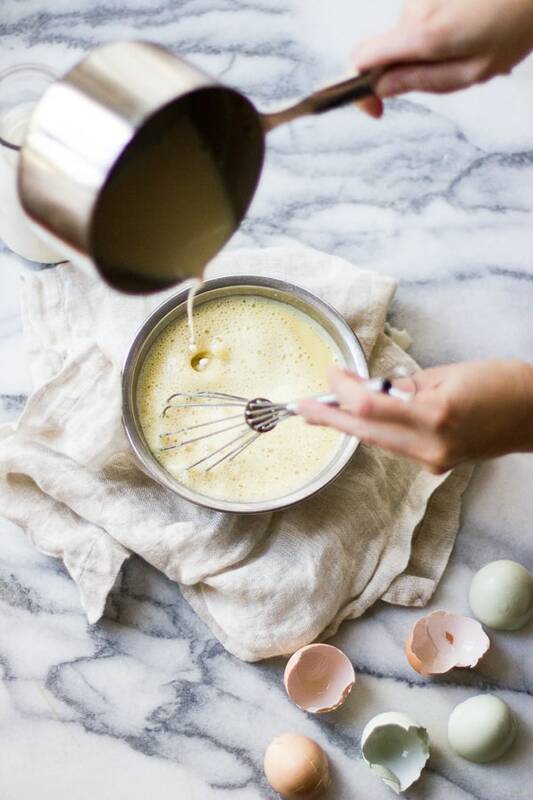 Slowly pour the hot milk into the egg yolks, whisking constantly. Return the mixture to the pot and cook over a low flame, stirring constantly with a heatproof silicone spatula, until the mixture thickens slightly and/or registers 170ºF on an instant-read thermometer. Immediately strain into the goat cheese mixture. Place over an ice bath and stir until cold. 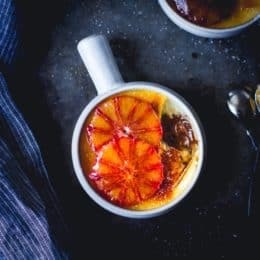 Ideally, cover and chill the mixture overnight; this allows the milk proteins to relax and makes for a smoother ice cream. 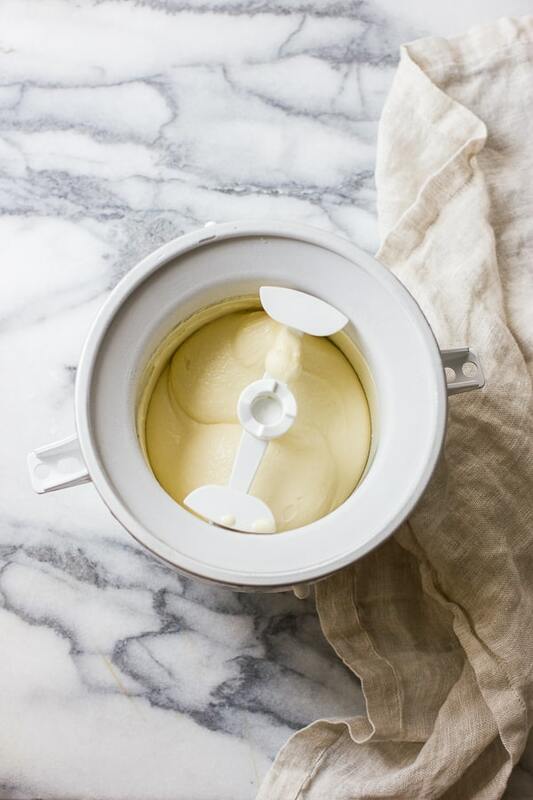 When the mixture is chilled, churn it in an ice cream maker according to the manufacturer’s instructions. 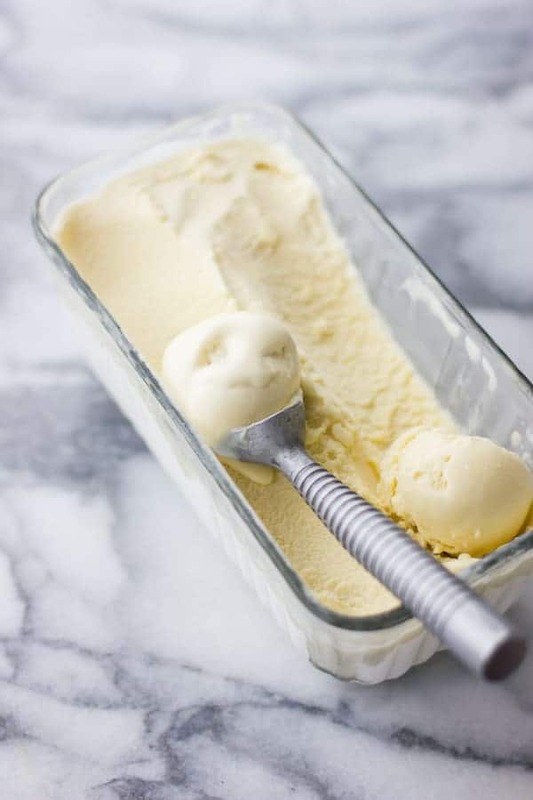 Scrape the ice cream into a jar or pan, cover with a piece of plastic wrap or parchment paper pressed directly to the surface of the ice cream, and freeze until firm, 3 hours or up to a month or two. 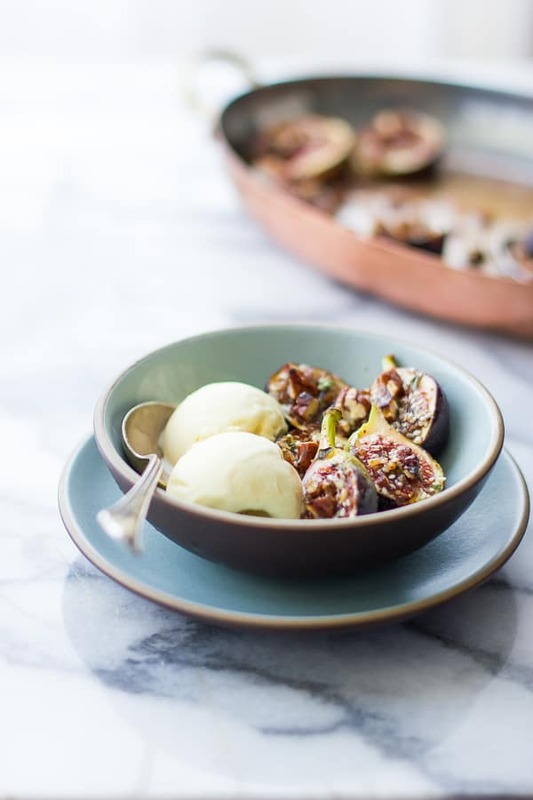 I agree – this ice cream sounds like the perfect mate for the broiled figs. And I'll take a quadruple scoop please! PS. My cat would also go nuts over this ice cream. Haha, so far it's just ice cream and greens of any sort. It's like they've got the traditional cats love dairy thing…and then, a bit of a health streak. i am definitely craving a massive bowl of this ice cream right about now.. LOVE everything about this. those broiled figs look too good also.. yum! Oh, how I love goat cheese! I've gotten a little taste of goat cheese ice cream at Christopher Elbow's ice cream shop here in KC. It's about time I tried making my own! I'm still kicking my younger self for not learning to love goat cheese during my semester in France… I really missed out! I need this STAT! Definitely making goat cheese ice cream next. I made blue cheese recently and it was SO decadent. Oooh! Blue cheese sounds to-die-for! 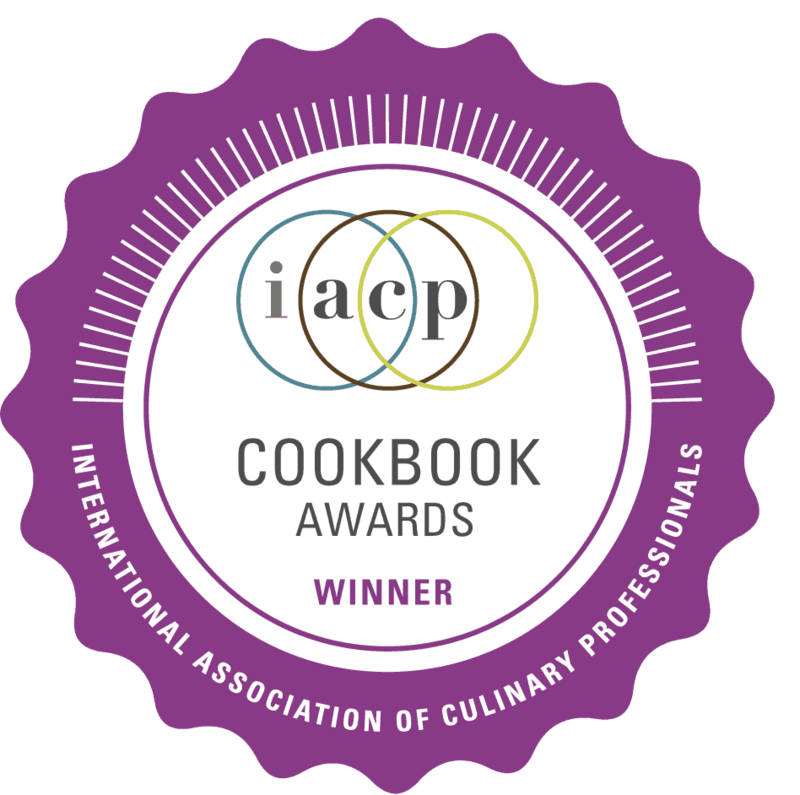 You have the most amazing recipes. It is showing me that I might be a teeny weeny bit boring. I am saying this good naturedly. Soooooo its good I am following your site. Hands down the next ice cream I'm making. And I loooovvveee Cypress Gove. Yet another reason I need to move out there. That sounds like the best dessert ever! Yum, that looks and sounds amazing!!! My cat Cupcake loves goat cheese, butter, cream, and any kind of nuts, so she (and I) would love this, too! Where did you get that fabulous ice cream container? I have been looking for a good one. Cupcake has excellent taste! I found that glass pan at Rainbow Grocery in San Francisco many years ago. That's probably not much help! Thank you! Do you mean the glass pan that the ice cream is in? I got that little glass loaf pan at my co-op many years ago. If I see any more I'll let you know! Oh! I got that at my co-op also. It's made by Endurance. Good luck! Has anyone had any luck making this completely dairy free??? This marble board is gorgeous… may I ask where it's from? 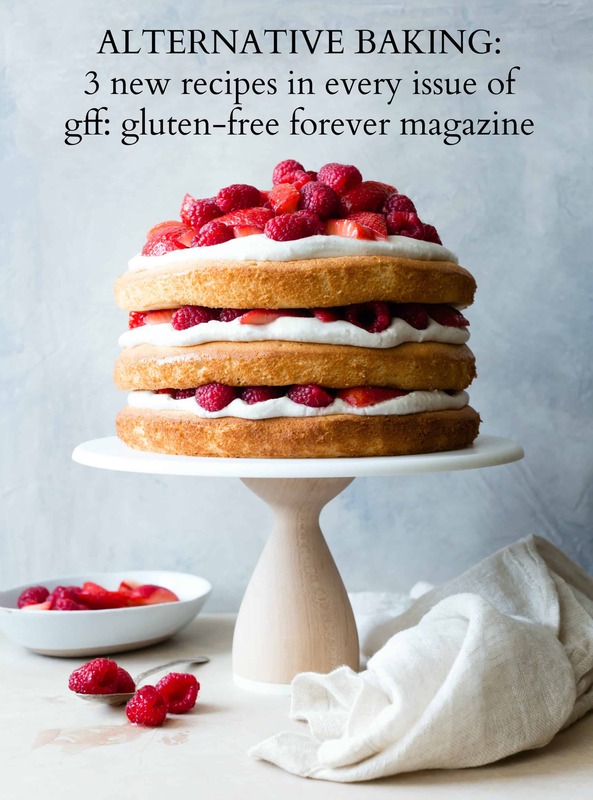 I made this and added frozen raspberries to the ice cream base…DELISH! 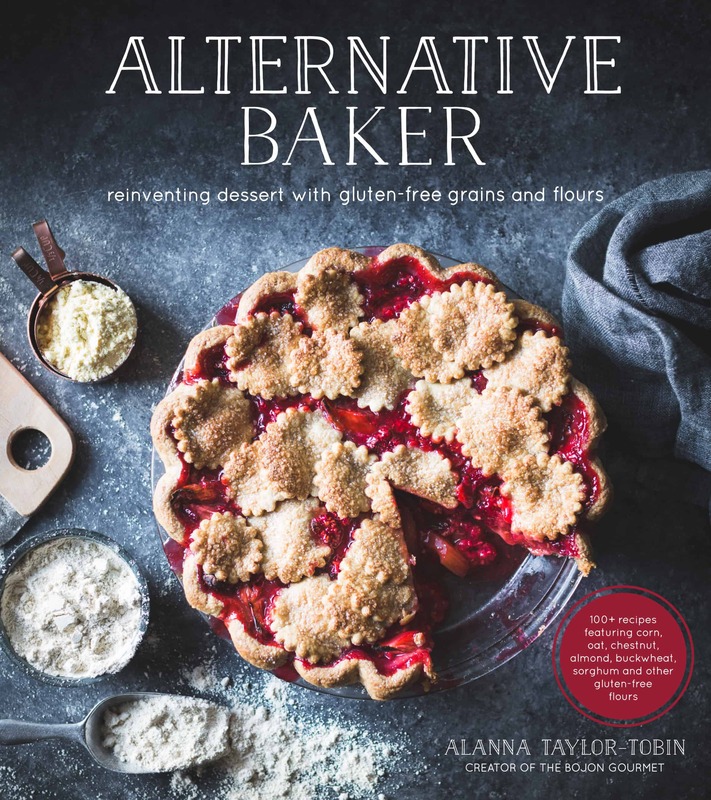 Any advice for how I could make a goat cheese, blackberry and basil ice cream? That sounds delicious! I would steep fresh basil in the hot dairy, strain it, and make the custard with that. Then I would mash up some blackberries with sugar (necessary to keep them from freezing solid) and fold them in near the end of churning. Let me know what you end up trying! I want to make this for my baby’s first birthday, so I’m wondering if I could substitute honey for maple syrup. Would it be a 1-1 substitute? Aw that’s so sweet! You can certainly try this with maple syrup. 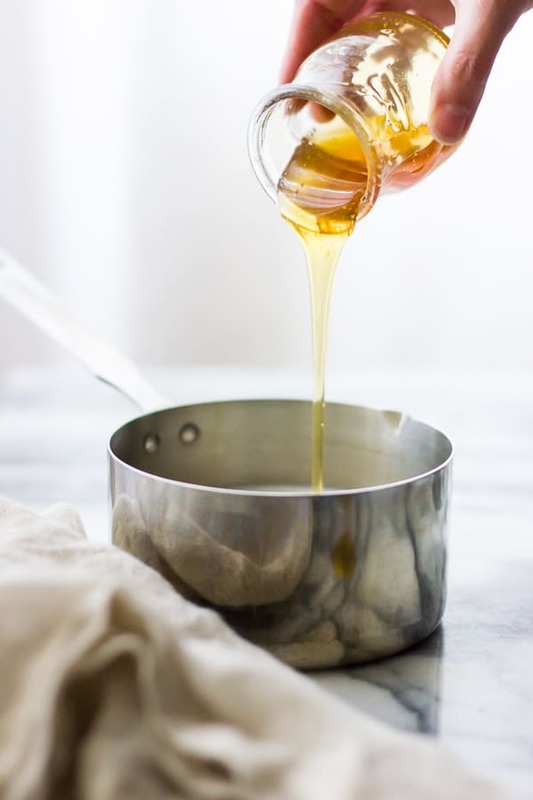 It’s more watery than honey so the ice cream will have a harder texture and you will likely want to add a bit of extra maple syrup since it’s less concentrated than honey. If you have access to maple sugar you could also try using some of that to make it less watery. Let me know what you end up trying! Thanks! She LOVES goat cheese and blueberries. If I wanted to add (frozen wild) blueberries, would I just add them whole to the final mixture before it’s churned? Or would it be better to make a compote? Ok, so I made it last night/today (had to let my KitchenAid bowl freeze overnight). I substituted honey for 1/4 cup maple syrup and 1/4 maple sugar (man, that stuff was expensive at Whole Paycheck- $12 for 8 ozs). It is DELICIOUS. No joke, best ice cream I’ve ever had! I reduced the amount of goat cheese to 2 ozs (half a small log), because I was adding blueberry compote and didn’t want the goat to be too pronounced. I didn’t find the recipe too labor intensive for a first-timer. 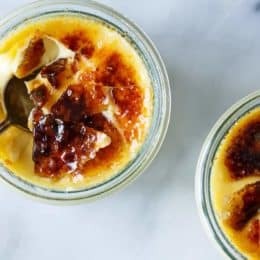 Could I use this sans goat cheese as a good custard-base? I’m so glad it worked! I think you could probably use it as a custard base – LMK if you experiment!